The trainwreck just keeps coming for Fox Tuesday, but the finals helped. Glee (0.9) adjusted up to only tie its series low, while New Girl still had a new low but only by a tenth. Both shows were down roughly half from their deliveries in this week last year. The Mindy Project (1.1) still ended up fully retaining New Girl at 9:30, so that's something. Though the ratings are typically dissected very closely, there's usually little evidence that backdoor pilots do any different than a show's normal ratings. Maybe Supernatural (1.0) rising suggests more-than-normal interest in Bloodlines, but more likely it was just a general upswing for the network, as The Originals (0.8) had an uptick as well. 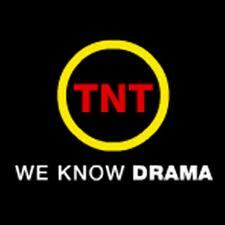 That has to be of some great relief to the network after the show's had terrible declines of late. After an inconspicuous night in prelims, the finals were brutal for NBC; The Voice didn't adjust up, meaning a new low, while About a Boy (1.6) and Growing Up Fisher (1.4) adjusted down to their own new lows. On CBS, NCIS (2.5) bounced back from a very low number last week, but NCIS: Los Angeles (2.1) didn't follow it upward. ABC's Agents of SHIELD (2.1) and The Goldbergs (1.7) each ended up growing by multiple tenths week-to-week. ABC's Resurrection (1.9) came back from a week off with a sixth consecutive decline since the premiere. It will definitely want to bring that streak to an end with next week's finale, but we'll see. ABC did get good news at 8/7c as Once Upon a Time (2.2) bounced all the way back and then some from last week's hiccup, which seems to have been driven by Easter and the irregular programming around it. And Revenge (1.3) adjusted up off its prelim new low. CBS also had a mixed night; The Amazing Race (1.9) had one of its best numbers this season, but The Good Wife (1.3) and The Mentalist (1.2) were each at or very near their respective low ends. On NBC, Believe (1.0) took a major hit in finals, from preliminarily up a tick to final down a tick. And The Simpsons adjusted up, meaning no outright weakest regular slot showing ever. NASCAR dominated. It was down 13%, both from the race two weeks ago as well as from the corresponding race last year. After adjustments, NBC was up just a tenth week-to-week with Grimm (1.2) and Hannibal (0.9). For Grimm, this is really just bouncing back (and not even all the way back) from a big drop in its last original. For Hannibal, it's the best number in four weeks, but not as attractive as when it had the nice round 1.0 in prelims. ABC had the finale of should-be-returning Last Man Standing (1.4), up two ticks week-to-week to one of its best numbers of the season, while Kitchen Nightmares (1.0 at 8:00, 1.2 at 9:00) strengthened in the 9:00 hour and remains a decent late-season option for Fox. Week three of CBS Monday's post-How I Met Your Mother existence saw multi-tick upswings for all three originals, 2 Broke Girls (2.3), Friends with Better Lives (1.9) and Mike and Molly (2.2). For FWBL, though the slot got a bit easier with Bones in repeats, this two-tenth growth makes it look like roughly a Mom-esque performer. If the decision on this show is actually still up for grabs, that might make its situation more interesting. We'll see if it can sustain it next week (the last point that could conceivably affect an upfront decision). Fox had the season finale of The Following (1.5), with the show barely inching off of the 1.4 it's gotten for the last six weeks. This looks a tad more favorable since Bones (0.9) was in repeats, but it's obviously a very far cry from the 2.7 that wrapped up last season. A major two-tenth upward adjustment left Dancing with the Stars (2.6) up 18% week-to-week, tying the premiere's rating as a season high, and an astounding 24% ahead of the same night last year. Though the HUT seemed rather high on this night in general (hence so many week-to-week growths), this is a big deal for a show that was already having a really good season. After a disappointing 2.6 demo rating for a preview following the massive How I Met Your Mother finale (which had a 5.5 in the 8:30 half-hour), CBS' Friends with Better Lives held up OK in its first regularly-scheduled episode. It had a 1.8 rating, down 31% from the preview, but given the lead-in went down to a 2.3, it was a drop of just two tenths (or 11%) in True. Still, this was over 20% below the 2.3 from lead-in 2 Broke Girls, and it was the lowest-rated comedy on CBS Monday. It felt like a win compared to the seemingly massive rejection on preview night, but it was still not a great place to be. The upfront extravaganza is finally here! Every weekday for the next three weeks, this blog will have a meaty piece of coverage surrounding the annual schedule releases. It starts this week with the season's final edition of the True Power Rankings, the SHOW-centric half of the upfront preview, digging deep into the merits of individual shows by network. Next week come the Upfront Questions, the SCHEDULE-centric look ahead to upfront week. (Save your mock schedules for next week!) The following week, the schedules come out, and with them come the Upfront Answers. 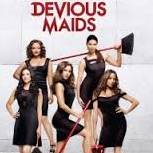 CBS had a relatively respectable start out of late April throwaway Bad Teacher (2.1), more than 20% above what had become the recent 1.7 level for previous occupant The Crazy Ones and just 16% behind lead-in Two and a Half Men (2.5). Let's not get carried away here; it's still a typical 20% drop away from being in TCO territory and thus probably on the wrong side of the bubble. But if it overachieves that standard, it may actually become something the network should think about as upfronts loom. ABC also had a series premiere, medical drama Black Box (1.5). That was roughly a third behind Grey's Anatomy (2.3), which slumped on the first Thursday after Scandal's finale. Were this a normal in-season premiere, things would look quite rough for Black Box, but it'll ultimately be judged by much more lenient summer co-production standards, so it's probably too early for definitive judgments. The other networks kicked off May sweeps in soft fashion, though The Vampire Diaries (0.8) and Reign (0.5) each inched back up for the CW. And NBC sent off Parks and Recreation (1.0) in a one-hour season finale, with the biggest notable there being the promo guy saying at the end of the finale that it's coming back in the fall. The Question, Thursday 4/24/14: Will Black Box and Bad Teacher Have Bad Ratings? It's been weeks since the last broadcast series premiere, but all of a sudden tonight we get two of 'em. Late April is not exactly the time of year when the broadcasters are trotting out their very favorite shows, but ABC co-production drama Black Box and CBS single-camera comedy Bad Teacher will at least have good lead-ins going for them. Grey's Anatomy and Two and a Half Men have each been posting mid-2's ratings of late. Can one of these series retain 80% or more of that lead-in tonight? I happen to think one has a much better chance than the other, but I'll include both shows here... just in case! As with the March 9 game, "Over" wins if EITHER Black Box OR Bad Teacher goes over the line, while "under" wins if NEITHER one goes over. Highest Rating Among Black Box AND Bad Teacher Over/Under: 1.95. The CBS and NBC dramas sat out another week, and this time American Idol (2.1) seemed to benefit, posting a rare upswing week. ABC's comedies were back in originals, but nothing notable happened except for a lower-end The Middle (1.9) rating, and even that adjusted up. On the CW, The 100 (0.6) finished off its first week-to-week uptick. Given the developments elsewhere on the network, this may have been the point that finally sewed up a renewal. It's the season finale of Best Case/Worst Case! As in the previous edition, these Black Box and Bad Teacher predictions will only cover the regular season episodes (four apiece) so I don't have to think about multiple timeslot situations. The 24 prediction will cover the whole season since it's probably less timeslot-dependent than the other two. The Voice (2.8) took a week-to-week drop on Tuesday, just as for its live premiere on Monday, but comedies About a Boy (1.9) and Growing Up Fisher (1.5) held up. The comedy results looked especially decent after the shows avoided their usual downward finals adjustments, leaving AaB up week-to-week. Agents of SHIELD (1.9) fell back into a tie with the last 8/7c episode two weeks ago, though that's still not great given CBS' NCIS went into repeats. Supernatural's huge plummet to 0.7 last week was pretty odd, but fortunately for the CW it was just a fluke; it got back to a more normal 0.9 this week. The Originals (0.6) had another new low in the prelims, and this time it didn't adjust up as it did last week. The Mindy Project (1.0) was steady even as New Girl (0.6) went back into repeats, and Glee (0.9) inched down to tie its low. Cable: FX's Fargo (0.65) was down 20% from its already modest premiere, but compared to the second weeks of fellow FX offerings The Americans (-32%) and The Bridge (-43%) that doesn't look so bad. The second week of Awkward (0.61) also had a significant dip, as did BET's comedies. ABC's parting with Scandal for the summer, but at least it went out on top in the week 30 True Top 25, tying Monday's The Voice in raw rating and inching ahead based on timeslot difficulty. Usual chart-toppers The Big Bang Theory and Modern Family assisted in the Scandal victory by taking the week off, but their repeats still made the list in a generally slow week. Week two of CBS' post-How I Met Your Mother Monday existence didn't go quite as well as week one, but 2 Broke Girls (2.1), Friends with Better Lives (1.7) and Mike and Molly (1.9) were down only a tick or two apiece. I'd say they are probably at least meeting the low expectations for this lineup, for whatever that's worth. A repeat The Big Bang Theory (1.8) filled in at 9:30 well below its usual Thursday repeat levels, but about the same as an original Mom. NBC had a brutal start to The Voice's live shows (3.0), but The Blacklist (2.8) held admirably again. And after a couple good weeks, The Tomorrow People (0.3) was down again, joining the CW's network-wide April meltdown. After a promising start to the spring, it seems to be falling apart in April for Once Upon a Time (1.7), down another three tenths week-to-week and now down seven tenths over the last two weeks. But after seeing the week-to-week HUT decline on Easter Sunday, it seems a bit more reasonable. It also had a much worse lead-in than usual from a Peanuts Easter special (0.9), and the network had low-rated Hallmark Hall of Fame movie In My Dreams from 9-11 (1.0, down 23% from the April movie last year). The absence of Resurrection at 9/8c may have been of some benefit to the competition, as NBC's Believe (1.1) was up a tick. It also had a better lead-in from Dateline (0.8), even if its flip to 8/7c with American Dream Builders (0.5) at 7/6c didn't net any growth over the first two hours. And Cosmos: A Spacetime Odyssey (1.4) also had its first week-to-week growth despite the animated lead-in going into repeats. CBS was on the downswing across the board with The Amazing Race (1.7), The Good Wife (1.3) and The Mentalist (1.4). Fox eked out a nightly victory with UFC, but it was down massively from the event during the same week last year. (Worth noting that it wasn't Easter Weekend on this week last year; PUT for the night was estimated at roughly -10% y2y.) UFC barely held off ABC's annual broadcast of The Ten Commandments (1.0), down a tick from last year. Once again, NBC's Hannibal (0.8) actually seemed to benefit from airing after Dateline (1.2) rather than Grimm, though after a finals downtick it was up just a tenth week-to-week. After premiering well last week, Kitchen Nightmares (1.0 at 8:00, 0.9 at 9:00) was down two ticks in each hour. ABC's Last Man Standing and Shark Tank each adjusted up off of would-be new lows to just tie for lows. But 20/20 (1.8) had a strange spike at 10/9c. We're exactly one month from the end of the broadcast regular season, which means we're one month away from this blog largely transforming into a very long-winded season review. While the networks have enough ratings data in most cases to make their renewal/scheduling decisions, the next month will be pivotal in many of the popularity contests we use to evaluate things on a bigger-picture level. So I thought I'd take a quick look at how some of the closest races stand with another month to go. This will be heavy on the A18-49+ stat and the labels used to classify shows. All the league average calculations are through Sunday, April 13, though for the individual show averages I usually included whatever was available from last week. A curiously packed mid-April night of season finales was of course highlighted by Scandal (3.4), which edged last year's finale (3.2) and tied this spring's premiere on February 27 as the second-highest rated episode in series history. An upward adjustment in total viewers (to 10.57 million) made it a series high in total viewership, barely edging the fall premiere (10.52 million). The other three finales were all for bubble shows, and probably the closest thing to good news was Parenthood (1.3) going a bit above average even in a head-to-head with Scandal. Community (1.0) rose a tenth week-to-week, but it also had less competition than usual due to a repeat The Big Bang Theory (2.2). And the loser was CBS' The Crazy Ones (1.6 at 9:00 and a pitiful 1.3 at 9:30), which went well below all previous results when sandwiched by repeat hours at 8 and 10 (though the 8:30 The Big Bang Theory (2.6) provided basically the same lead-in volume as it usually has). Fox reality was on the rebound as Hell's Kitchen (1.7) got pretty much back on track with no Shark Tank in the hour and American Idol (1.9) actually tied the Wednesday edition. But following decent holds in weeks two and three, Surviving Jack (1.0) took a week four hit. And the CW's nightmare week continued with The Vampire Diaries (0.7) plunging to a new low and Reign (0.4), like The 100 the night before, failing to rally even with an original lead-in reinstalled. The Question, Thursday 4/17/14: Will the #ScandalFinale Blow Up? When Scandal returned from its long winter hiatus, it was tied out to the hundredth with two-time reigning champ NCIS as the top drama on broadcast TV. But while Daylight Saving viewing depressions have battered NCIS' ratings in the spring, Scandal has remained stout in the 10/9c hour and pretty much wrapped up #1 broadcast drama honors for the first time. 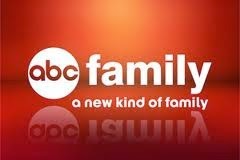 The only bad news for ABC is that the season must end tonight at just 18 episodes due to Kerry Washington's pregnancy. Will the #ScandalFinale blow up? That's The Question for Thursday, April 17, 2014. Even with Arrow (0.7) back in originals, albeit at a tie for a season low, The 100 (0.5) adjusted down in finals and thus was flat week-to-week. (As usual, it was pretty close to rounding up; the final was 0.53.) While a 0.6 would have put the show squarely in the likely renewal column, this non-rally keeps things pretty interesting. But maybe it will benefit from the network's softness in general this week. Everything scripted on the big four was in repeats except for Mixology (1.2), but this was of no help to the few originals in the mix. American Idol (1.9) got yet another new season low, while Survivor (2.3) adjusted up to tie its low. The other good news was NBC's The Voice (3.0) and About a Boy (1.8) bouncing back a bit. But those really only look encouraging because they dropped so much last week. CBS: NCIS (2.2, a low by two tenths even after a finals uptick), NCIS: Los Angeles (2.1, tie) and Person of Interest (1.8, adjusted up from a tie to not a low). NBC: Chicago Fire (1.7, new low). Fox: Glee (1.0, NOT A LOW! ), New Girl (1.2, adjusted up to a tie), The Mindy Project (1.0, tie). CW: The Originals (0.7, adjusted up to a tie), Supernatural (0.7, adjusted down to a low by two tenths). FX launched new drama Fargo (0.8), which basically tied the 18-49 average of previous occupant Justified. But it was a bit below their last drama launch The Bridge (0.9 on 7/10/13), and most other recent launches of note on the network were in the 1's. This network has become somewhat famous for massive post-premiere drops, so they'll have to hope this modest premiere bucks the trend. We may be a month past Daylight Saving, but week 29 was at least as bad for TV ratings as that week was. And this showed up in bigger-picture ways; the downturn in overall viewing week-to-week was even more significant this week than four weeks ago, suggesting that some late winter weather may have kept ratings afloat to a certain degree in March. While this showed up in many a raw rating, it also meant that a show like NCIS that went against this gravity (getting its highest rating in five episodes, despite its lowest-viewed slot of the season) could post a really high-end True score. The Big Bang Theory lost out to the NCAA basketball finals for the True crown this week, but it still demolished all other entertainment series. Scandal was the top drama again, edging its lead-in Grey's Anatomy and the surging NCIS. Agents of SHIELD, The Millers and the return of Resurrection represented the new shows, while Shark Tank and Saturday's NASCAR were the only weekend series. It was obvious coming into the first regular Monday after How I Met Your Mother's departure that CBS would not stack up nearly as well with the other networks. The best the shows could really hope for was to hold their regular numbers in a post-HIMYM world, and they did that quite well. I was most surprised that 2 Broke Girls (2.3) actually matched the episode that aired after the penultimate HIMYM. We'll see next week if Lindsay Lohan's 2BG guest turn actually moved the needle here. (Notably, it was also just a tick below the last time it was an "anchor" all the way back in October.) Friends with Better Lives (1.8) was the lineup's weak link out of the gate, but not by much. And Mike and Molly (2.1) and Mom (1.9) completely held up as well. Everybody was original from 8-10pm and repeat at 10:00, with the only other notables being another off night for Bones (1.4) and the CW's The Tomorrow People (0.4) inching back down after last week's growth. The finals helped ABC, as Resurrection (2.1) was down just a single tenth, and it can probably deflect a lot of the blame for that over to Once Upon a Time (2.0), which still had an oddly large week-to-week decline (but not as bad after finals). Fox's Cosmos: A Spacetime Odyssey (1.3) dropped into problem territory, though it too got some finals help that made it not quite as bad. Not sure if it's low enough for Fox to start considering moving it and re-installing the 8-10 animation block, but that scenario could at least be on the radar at this point. The toons are in repeats next week, so the network may want to see how Cosmos fares in that scenario. CBS had an 11-minute overrun from The Masters, but it was not much of an 18-49 lead-in to their all-original lineup. The Good Wife (1.5) gave back most of last week's big spike. The only steady Sunday lineup was NBC's already weak one, but that meant American Dream Builders (0.7) didn't benefit from last week's tryout after The Voice. UPDATE: AMC's Mad Men kicked off its two-year final season with 2.3 million viewers and a 0.8 demo rating. The show was already showing some signs of having peaked last season, but this marks a particularly steep 30%ish year-to-year decline. The silver lining for AMC is that Mad Men's presence seemed to help week two of Turn (0.61) skew a bit younger; that show was up 16% in the demo from the premiere despite a roughly 10% drop in overall viewership. Fox took over Saturday with NASCAR. The race was just a tick behind last year's corresponding event and got as high as a 2.3 demo at 10:30. Fox brought back Kitchen Nightmares (1.2 at 8:00, 1.1 at 9:00) in what has to be considered fairly solid fashion, especially given how poorly Gordon Ramsay's Hell's Kitchen fared the night before. This was about in line with the show's average last season, and actually a major improvement on the season low 0.9 that kicked off last season. There was some more carnage on the other networks, though the ABC carnage was tempered a bit after finals. Last Man Standing (1.2), and Shark Tank (1.8) still got hit, though the possible last-ever The Neighbors (0.9) at least adjusted up to even. The finals made it even worse on NBC, where Grimm (1.1) was down for a third straight episode to a new season low, once again getting nicked by NBC eschewing Dateline in favor of a lower-rated NBC News special (0.7). Hannibal also ended up at a new season low. The Question, Monday 4/14/14: Will Friends with Better Lives Have Better Ratings Than Expected? CBS' highly uncertain Monday life without How I Met Your Mother begins tonight, and that includes the 8:30 timeslot premiere of newbie Friends with Better Lives. The show previewed two weeks ago with a 2.6 rating, but it'll drop huge tonight because of the downgrade in lead-in. It goes from a 5.5 for the second half-hour of the HIMYM finale to... whatever 2 Broke Girls gets in its move to 8/7c. 2 Broke Girls would be happy to stay at a 2.0+ and could well go lower. I felt before the season that FWBL could start in this slot in the high-1 range, but the show did at least 10% worse than expected out of a HIMYM finale that was at least 10% bigger than expected. So I'm adjusting this line down; I see the show going 20% or more below an already soft 2BG tonight. Friends with Better Lives Over/Under: 1.45. It was another very modest weeknight tryout for Shark Tank (1.7), down 15% from its usual amazing-for-Friday 2.0 in a Thursday 8/7c test. I tend to think these things are always set up for disappointment to a certain extent because shows take a hit when airing out of pattern, and Thursday at 8 after DST isn't even that much higher-viewed than its usual Friday 9/8c slot. But this will certainly not serve as evidence that would encourage ABC to move it off of Friday. If there was a silver lining for Shark Tank, it was that it at least brought competing reality Hell's Kitchen (1.4) down with it. Ouch. The other ugly result was Reign (0.4), which dropped to a new series low in its second episode without an original The Vampire Diaries lead-in. In True terms, this is basically the equivalent of getting a 0.5 after an original. Reign has done that in the past, but not for a little while. To round out a rough night, the CBS and NBC lineups mostly inched downward, which meant lots of ties for lows in peacock land: Community (0.9), Parks and Recreation (1.0) and Parenthood (1.1). Only 10/9c dramas Scandal (3.0) and Elementary (1.6) were on the week-to-week upswing preliminarily, though American Idol joined after finals. Another big episode on Law and Order: SVU (2.0) had yet another spike in it, breaking a two for the sixth time this season. (It did this just three times last year.) That helped the show pull close to a sagging Criminal Minds (2.3) in the 9/8c crime drama duel. A below-average CSI (1.7) kept CBS narrowly ahead of NBC's Chicago PD (1.6) at 10/9c. Week four of The 100 (0.5) brought a third straight drop, though this one was to be expected given Arrow (0.4) went into repeats. All we can say is that the show avoided the 0.4 disaster scenario in this spot, and it feels like whether it can get back to 0.6+ when Arrow returns next week will be key. ABC was all repeats except for Mixology (1.2), which adjusted up to tie its previous episode with no original lead-in. Fox tried the new family comedy Surviving Jack with what for many years would have been a stellar lead-in: the American Idol results show. Unfortunately for Jack, it caught Idol on a very steep downturn, and the show's first 30-minute results show scored just a 1.9 demo rating. Surviving Jack dropped significantly from there, premiering to an underwhelming 5.15 million viewers and 1.3 demo rating. The show had no comedy competition, but there were a couple pretty stout competitors in ABC's Grey's Anatomy (2.6) and CBS' NCAA basketball (3.0 at 9:30). Marvel Studios had a great weekend at the box office with Captain America: The Winter Soldier, but that did not translate to the small screen. Even though Agents of SHIELD picked up a second straight two-tenths uptick in the final ratings, it was disappointingly still down week-to-week. The ABC comedies also suffered, as The Goldbergs (1.4) and Trophy Wife (0.8) each tied series lows. NBC also caught the Tuesday blues; the Tuesday edition of The Voice (2.9) continues to deteriorate at an alarming rate, and now it's taking comedies About a Boy (1.7) and Growing Up Fisher (1.5) down with it. Chicago Fire (1.8) ended up looking good despite being down a tick at 10/9c, albeit against repeats on both competing networks. Only CBS had a remotely good evening as NCIS (2.6) bounced back a bit, but NCIS: Los Angeles (2.3) inched down the week after it fully retained the mothership. The Big Bang Theory took a very rare turn with a demo rating behind another demo program: the series finale of fellow CBS comedy How I Met Your Mother. But Big Bang is still #1 in True, and in fact by a fairly wide margin, because it was confined to only the lowest-viewed half hour on a much lower-viewed night. It seems kinda like the viewership estimate went up a little more on Monday than it "should" have, but maybe most of HIMYM's finale spike came from viewers not usually watching other TV. With almost all big four series in originals, there were four new shows on the list this week. That's a pretty healthy number, but the raw numbers top 25 would actually include a whooping seven newbies. Friends with Better Lives, About a Boy and to a lesser extent Resurrection (just a single hundredth out of the True Top 25) were all nicked enough by the formula to drop out of this list. CBS dominated Monday with the NCAA basketball national championship game. The final was a 7.2 A18-49 rating, down 14% from last year. NBC tried American Dream Builders (1.5) after The Voice (3.5) in an academically interesting test of what a really low-rated show would do with this kind of timeslot upgrade. While the show more than doubled its rating from Sunday, this tryout will need to make a difference in next Sunday's rating to not have been a waste. On a night otherwise light on original entertainment programming, Bones (1.6) inched up for the second straight week. Dancing with the Stars (2.2) was the only show to take a hit against the big game, but it was just a tenth after finals. It remains a pretty good season for the show; this was actually slightly above last year's rating on this night. The Walking Dead may be over, but the ABC Sunday bleeding isn't. Resurrection (2.2) took another multiple-tick drop, going behind its Once Upon a Time (2.4) lead-in for the first time. (But a two-tenth surge in finals for Once makes it a big positive; this 2.4 is better than anything it scored in the last couple months of last season.) If this is not the end of it, things might start to get interesting. I've chalked much of this up to the lead-in, but I think it's becoming noteworthy that Revenge (1.3) has also fallen each week since Resurrection's debut, and this time that meant a tie for a season low. NBC's three newbies all downticked again: American Dream Builders (0.7 leading into a tryout after The Voice tonight), Believe (1.0) and Crisis (1.0). Fox's Cosmos: A Spacetime Odyssey (1.5) was steady for the first time, and its Family Guy (2.3) lead-in was up. UPDATE: The return of Game of Thrones easily scored a series high with 6.6 million viewers, about 20% above the previous high. If the show has the same skew as last year, that'll translate to about a 3.5 rating in 18-49, so this could very well edge the ACM Awards as the night's top program. Lead-out comedies Silicon Valley (2 million total viewers) and Veep (955,000) dropped big from there. UPDATE #2: Final 18-49 ratings: Game of Thrones (3.61), Silicon Valley (1.08) and Veep (0.51). GoT was 51% above last year's premiere. The finale of Shameless (0.85) was 7% behind last year's finale. It's pretty tough to really get at what AMC's "standards" are. We could say the premiere of Turn (0.53) got literally one-fifteenth the rating of last week's occupant The Walking Dead, or we could say this number stacks up in the same ballpark with recent seasons of Hell on Wheels and The Killing. CBS had another brutal year-to-year Saturday since they lost the Final Four to Turner per the companies' March Madness arrangement. Turner had the main telecasts on TBS (2.07 for Florida/Connecticut, 3.40 for Kentucky/Wisconsin), but also had "teamcasts" on TNT/TruTV which were more friendly toward the individual schools. Florida/Connecticut had 1.03 TNT/0.33 TruTV, Kentucky/Wisconsin a 1.33 TNT/0.54 TruTV. Adding the teamcast numbers gets the later game (UK/Wisconsin) at least somewhat close to the 5.7 it scored in CBS primetime last year. The Saturday half-hour breakdowns were missing on my sheet this week, which normally I wouldn't sweat too much. But this time it's kinda a bummer because the two-hour finale of Rake had a preliminary 0.1 (zero point one) in the 8:30 half-hour, which I believe would be the first time a big four network averaged that for a half-hour. So I can't make that official, but both of Rake's episodes still tied the all-time low for a full program at 0.2. The return of Unforgettable (1.0) on CBS to play out the rest of season two was not really anything special in either direction, matching its last couple episodes from the summer. It'll be a worse option than Undercover Boss, but that was not unexpected. Fox said goodbye to Raising Hope (0.6) with a one-hour finale. This pathetic number was sadly still the show's best rating since February. It got an assist from Kitchen Nightmares (0.7), which even in repeat mode (a week before its original return) was a big upgrade on the usual Rake numbers. Almost everything else was down a tick or two week-to-week. If this was a big deal for anyone, it'd be NBC, where Grimm (1.4) was down a tick and Hannibal (0.8) was down two. Blue Bloods (1.5) and 20/20 (1.5) were the only week-to-week growers, with the latter benefiting from the original return of Shark Tank (1.9). A downward adjustment made things look really ugly for Hart of Dixie (0.2). The Question, Sunday 4/6/14: Will Game of Thrones Assume the Drama Throne? The Walking Dead may have ended last week. But cable's lock on the #1 Sunday program seems almost certain to continue, because HBO's Game of Thrones is back in the mix. It's another genre drama that's been on the rise since its debut, and with a strong season it could well join TWD in regularly beating every broadcast drama. Will Game of Thrones assume the drama throne? That's The Question for Sunday, April 6, 2014. The return of CBS' Thursday lineup from basketball hiatus was relatively status quo. Everything but The Millers (2.8, rebounding from an off week last time) was within a tenth week-to-week in the prelims, but a downward adjustment for Elementary (1.5) left it down 0.2 and at a tie for a series low. The Big Bang Theory (4.9) did not make a run at the How I Met Your Mother finale for top scripted rating this week, but it should beat it in True (as the PUT estimate was roughly 5 points higher in HIMYM's full 8:00 hour on Monday than in TBBT's 30 minutes on Thursday). Week two of Surviving Jack (1.2) on Fox was down just a tenth week-to-week, with American Idol (1.7) down two. The trend might be somewhat promising if it hadn't started poorly last week. ABC's Scandal (2.9) gave back its gains from last week, returning to its familiar upper-2's level with both competing dramas back in the mix. And a finals uptick for Grey's Anatomy (2.7) meant it was up for a third straight week. NBC struggled most against the return of CBS, with Community (0.9) at a new low, Parks and Recreation (1.1) tying its lowest rating since Community came back, and Parenthood (1.2), like Scandal, surrendering its recent gains. Let's take a look at the winter 2014 season (the eighteenth overall) of The Bachelor on ABC. Week three of the CW's The 100 (0.6) was down another tenth. Considering last week's 0.7 very nearly rounded up to 0.8 (it was a 0.74), this will mark another double-digit week-to-week decline. It will be interesting to see where it falls on the wide 0.6 spectrum when more precise finals come out. In its defense, its lead-in Arrow (0.8) was also back down by a tick this week, but next week the show will have to air after an Arrow repeat. Two weeks after most of the crime dramas struggled, most of them were ahead of recent results this week; Criminal Minds (2.5), Law and Order: SVU (1.7) and Chicago PD (1.6) were all up multiple ticks. Another mixed night on ABC. Modern Family (3.3) gave back its recent increases, but Suburgatory (1.7) and Nashville (1.5) each zoomed up to the high end of recent results. Let's take a look at the 2013-14 season (the ninth and final overall) of How I Met Your Mother on CBS. April got off to a foolish start for Fox, where Glee (0.9) reverted to a tie with its series low from three weeks ago and the one-hour return of The Mindy Project (1.0) was at a new series low. Something to note about these shows is that while both are big W18-34 draws, they have very different 18-49 skews; Glee had about 700,000 more total viewers. This probably means Glee leans much more toward the teen end of that 18-34 demo and Mindy much more toward the 35-49 end. Given this incompatibility, I don't think Fox could've expected a lot more out of Mindy. We already know that it gets bad 18-49 ratings, and they'll always be worse without New Girl leading in. But they'll have to put up with another full hour of Mindy next week before New Girl comes back. On ABC, Agents of SHIELD (2.0) was back with a two-tenths upward adjustment in finals that makes this feel like a much better result than the 1.8 in prelims. It was still a tenth behind its last original episode, but now two tenths ahead of the 1.8 when it last returned from hiatus (and when it last faced NCIS). And The Goldbergs (1.5) was back down even with the lead-in increase, continuing to appear more tied to the presence of comedy competition than to the lead-in. CBS' NCIS (2.4) adjusted up off of its new low, so it's now only tied for a season low (and NCIS: Los Angeles (2.4) only tied it rather than beat it). Like many of the other ugly results in the 8/7c, The Voice (3.1) adjusted up in finals, but it was still down another three tenths. but they can take some solace in lead-out comedies About a Boy (2.0) and Growing Up Fisher (1.6) continuing to hold. The CW had three new shows in the fall, and none of them completely flopped. And yet, the spring premiere of The 100 got off to a more impressive start than any of those fall shows. It opened with a 0.90 demo rating, building by nearly a tenth on its lead-in from Arrow (0.84). For comparison's sake, fall occupant The Tomorrow People opened with a 0.85, slightly down from Arrow's 0.93. It faced usual competing dramas Criminal Minds (2.2) and Law and Order: SVU (1.5), but Modern Family was in repeats. Very positive start. Shark Tank was off, but Friday still got plenty of representation on this list from the two basketball games and a season high Dateline. (Last Man Standing, hitting a True season high with an impressive 1.4 on a post-DST Friday, was just a few hundreths off of the list.) The Blacklist and Resurrection were the only new shows this week as usual suspects Agents of SHIELD and The Millers sat out again. The one-hour finale of How I Met Your Mother (5.4) posted a massive 54% week-to-week increase, setting a new series high in the demo, in total viewers (12.94 million) and in adults 18-34 (5.8). It's the biggest regularly-scheduled entertainment episode this season for a series not named The Big Bang Theory or The Walking Dead, and after the finals uptick it inched ahead of Breaking Bad's finale from late September. But it's likely to be CBS' last Monday moment of glory this season, as newbie Friends with Better Lives (2.6) adjusted down to lose over half of that lead-in demo rating in its 9/8c preview. This probably does not bode well for its 8:30 launch after 2 Broke Girls in two weeks. But Mom (2.2) at 9:30 and the last episode of Intelligence (1.2) did benefit a bit from this halo. CBS' big bounce had surprisingly little impact on the competition; The Voice (3.4) was the only show that seemed to suffer at all, and even it was down less than 10%. The CW's Star-Crossed (0.4) and The Tomorrow People (0.5!) were even on the upswing. Week four of ABC's Resurrection (2.4) saw yet another drop, though this one wasn't that severe compared to last week's 2.5, especially after it adjusted up. The good news for this show is that it's through the against-The Walking Dead half of its season at what would still be a winning level for ABC. But it's not a given that TWD was making much of an impact. Next week promises to be telling. The death blow was probably dealt to all of NBC's Sunday shows, as Crisis (1.1) became the latest big week three dropper (though it adjusted up) and American Dream Builders (0.8) and Believe (1.1) inched down again as well. CBS benefited from an even bigger basketball overrun lead-in than last week, posting a 6.1 in the first 20 minutes of primetime, and some major developments on The Good Wife, which vaulted it to tie a season high. And Cosmos: A Spacetime Odyssey (1.5) also took another hit. As a show that has some heavy male 18-34 interest (like its cartoon lead-ins), this will be another show to watch next week with The Walking Dead gone. UPDATE: The much-aforementioned The Walking Dead finale (8.0 with 15.7 million viewers) was the series' first spring finale not to set a new series high, but it was easily a finale record and darn close to the 8.2's that opened the fall and the spring. This marks roughly 20% growth from last week's 6.7 and about 25% growth from the spring 2013 finale (6.4). And as usual, there's simply no comparison between it and anything else scripted on TV. Its lead-out Talking Dead grew even more strongly, shattering the previous series high in Andrew Lincoln's first live appearance. The latest wrinkle in the CBS/Turner March Madness agreement sees CBS give up rights to their usual games on the last two Saturdays of the tournament. So they were down to a huge degree from when they had the tail end of these games last year, while TBS beat the combined broadcast options with their Dayton/Florida (2.37) and Wisconsin/Arizona (3.16) games. The California earthquake coverage didn't make a massive impact on Friday finals. NBC had a good night with a special two-hour Dateline tying a season high. Hannibal adjusted down in finals but was still up a tenth week-to-week. Rake (0.4) and the final scheduled Enlisted (0.4) were each down another tick, though the penultimate Raising Hope (0.5) grew at 9:30. Apparently this took Rake beyond what Fox could accept even in this slot, as it was pulled from Friday and will burn off a couple eps this Saturday.